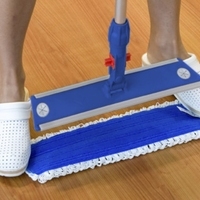 Healthcare and hospital facilities, nursing homes and crèches present many challenges for housekeeping staff. The number one priority in healthcare infection control is often managed on a limited budget. 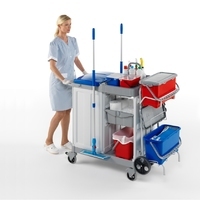 The Top Down Healthcare Cleaning Trolleys have been engineered as a mobile healthcare cleaning station. Due to there modular design, each healthcare trolley is made to your requirements. 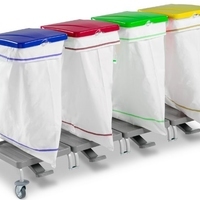 Our Healthcare Cleaning Trolleys give you the most modern and innovative healthcare cleaning systems on the market. Our Healthcare and hospital cleaning products are touch free to eliminate the unintentional spread of pathogens. 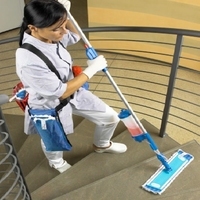 Ergonomics are vitally important to the healthcare cleaning staff. With this in mind, all our healthcare cleaning products are lightweight and comfortable to use reducing muscle strain and decreased compensation claims.